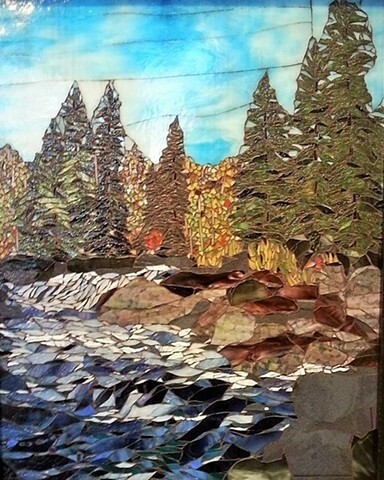 This mosaic is another installment in the North-shore of Minnesota series. A really nice fall piece with the sumac in the foreground. That orange of the sumac really pops against the blue of the river. Thanks for your support.